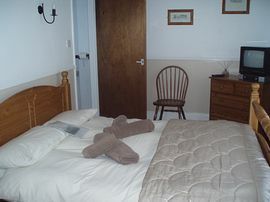 The Melcombe Villa Weymouth, is a well established Victorian Guesthouse situated in one of the most desired positions in Weymouth, just 100 yards to the beach and 200 yards to the town. The Guesthouse, that now features Free Sat in all rooms, can be found on the corner of Gloucester Street and Turton Street next to Turton Villa. Turton Villa once belonged to John Turton the Physician to King George III when he holidayed here in the late 17th Century. Weymouth's popularity as a seaside resort is attributed to King George III who came to bathe in the sea as a health cure for his nervous disorder. The beach is superb and consists of sand, changing to shingle around the bay by the Jubilee Clock. On site parking is a special feature of the Melcombe Villa which is unique to many guest houses in the local area. The Guesthouse offers a full cooked English Breakfast daily. We use locally sourced sausages from The Sausage Factory. Disabled Facilities: There are disabled facilities. Limited disabled access but ground floor room. 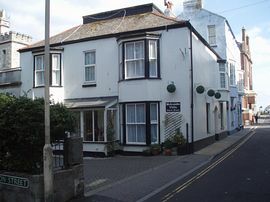 £56...per double room per night Jan, Feb, Mar. 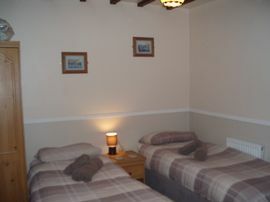 £60...per double room per night April, May, June. 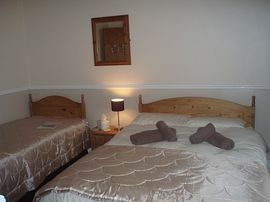 £68...per double room per night July, Aug, Sept.
£56...per double room per night Oct, Nov, Dec.